Reading improves the creativity of one’s mind and its capacity of expressing thoughts and possibilities into words and writing. Last Saturday, July 28, 2018, our school held an enlightening orientation about the goal of enhancing the comprehension of students through reading books, novels or literary pieces in general. It lets the mind explore the endless alternatives of life, think up unique ideas, and live more lives than one. 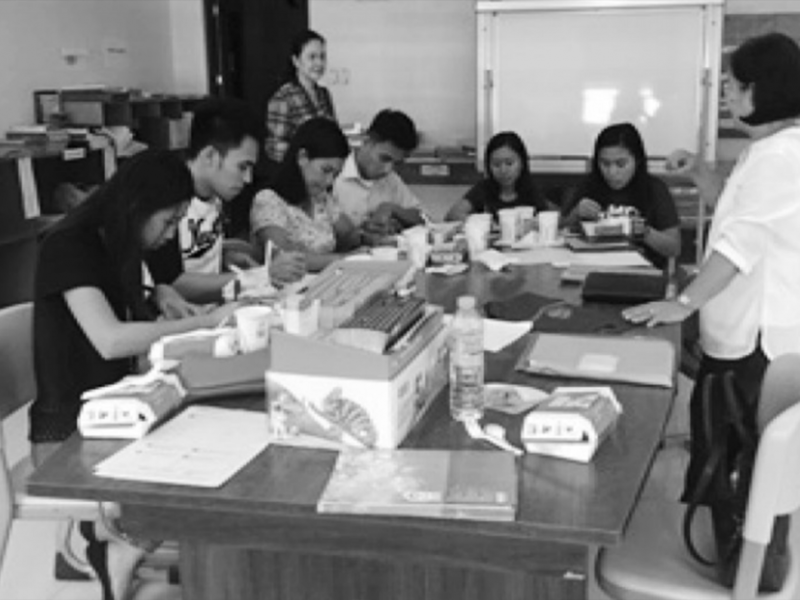 The said orientation was conducted by the SRA Facilitators coming from Manila and Cagayan namely Ms. Erlinda Catbagan and Ms. Arlene Lim. It was attended by the teachers from the Pre-school to Senior High School together with the active and the ever supportive OICPrincipal-Ms. Jackyline G. Tangcay and the VP for the Basic Education Ms. Carissa Pia M. Concha. By encouraging the students to read more and explore literature, they would be able to mature and learn in a more vast and accurate way. Books offer them an opportunity to use their imaginations instead of staring at their phones looking at messages and scrolling through social media. Reading is one way to make their minds think, ponder and create. Through the art of reading, the students would be able to delve into a world that’s probably more interesting than reality. It gives them a chance to look through a different window of life. It strives to inflame creativity in a reader’s heart and soul. It could inspire the readers to write their own stories, read more and be more confident. There are a lot of books that are relatable, touching, inspiring, painful and joyous. I know that there are so many people with problems or disabilities, I also know that there are books that help others cope with their burdens. It encourages them to face themselves, find themselves and love themselves. Thus, reading is magical. One simply cannot live a life well lived if one has not lifted a book and read it. Reading and writing are exquisite activities filled with insane bliss and drama. It carves the readers’ minds and morals into a golden piece of brilliance and wellness. By encouraging students to read, they’d be able to develop good morals and manners in a quicker period of time. The program then ended succesfully with full of hopes and smiles from the teachers and the facilitators as well that this SRA program would become an agent for the students to enhance,improve,and develop their reading comprehension.